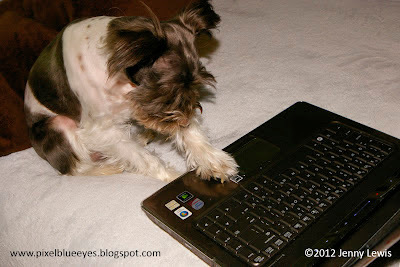 As a blogging doggie, I always hope that my photos & words of joy reach out to encourage others and bring a smile. I chronicle my life's journey in this blog, Facebook & Twitter, and cherish all the friends I have made over the years. Every comment and response from you is a treasured gift. Imagine my surprise then, when I was presented with 3 blogging awards over the last couple of months from two excellent fellow bloggers. I am beside myself with excitement and gratitude! Part of the joy of receiving these awards is that I get to give these awards out to fellow bloggers too. I love giving to and encouraging others, so how perfect is that? 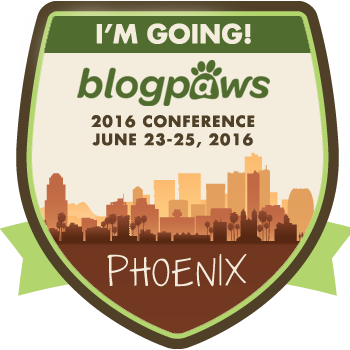 My first award, the "Kreativ Blogger" award, was given to me by a dear friend and fellow blogger named Janet of Basset Momma. I am very flattered that you would think my blog creative. Thank you! The rules for this award is that I share 10 things about myself that you may not know and then give this award to 6 other bloggers. 1. I love rattles! Mommy got me a baby wrist rattle as a puppy and I have been hooked ever since. 2. I never tear up a toy with a rattle inside it. I just can't do it. 3. When Mommy holds me, I always have to be on her left side. For four years now, she keeps trying to hold me on her right side but I switch it back. Stop trying Mommy. 4. I have an incredible fear of getting my nails clipped. I am a gentle, tenderhearted girl doggie, but you come near me with a set of nail clippers, and the little psycho comes out. I'm feeling anxious just talking about it. Next question. 5. I have to roll on my Mommy (or some part of her) first thing in the morning...every morning. It's our routine, and it must be done. She loves it. It's part of our morning "Mommy & me" time. 6. Last spring, I tried to fly. I decided it would be a great idea to leap off our 12 foot high (3.65 meters) back deck through the slats of the railing while standing in front of Mommy on the deck. I had seen so many birds do it successfully. Well, let me tell you, gravity is a BEAR, no matter how weak scientists say it is! I just remember falling to the ground with a thud. Mommy freaked, took me to the vet, and amazingly I was not seriously hurt. Hence, Mommy & my grampy then put up chicken wire fencing along the entire perimeter of the deck railing, and there are gates, etc to protect this little dog from thinking she can fly. 7. I love feet. My loved ones feet are very calming to me. I will often go over to someone's foot, gently put my paw on it, and that is their cue to rub my belly with their foot, sock or no sock, while I sit there looking doe eyed and sleepy. No shoes allowed. 8. I eat a gluten free food diet because my cousin Peanut Pumpkin Pie and my Mommy are gluten intolerant. I love them. I wouldn't want to go kissing Mommy if I ate wheat of any kind. 9. I am a 'search and rescue kibble' Pixel. I seek out and find lost dog food kibbles. It does not matter where it is or how old it is, I will point, whine, moan and stare at its location until it is rescued. I'm a giver. 10. My Mommy and I have started a campaign called "No Tail Left Behind" to educate about the dangers of cosmetic tail docking. I suffer from chronic pain in my tail nub, and many dogs do too. Tail docking (& ear cropping) is often dangerous for a dog's health, and is illegal in many countries, so why not the U.S. We have lots of information to share. We are always kind, no matter anyone's views. Please visit, like and share our page at www.facebook.com/NoTailLeftBehind. Emma of "My GBGV Life"
The second award is the Leibster Award, given to me by my sweet friend and fellow blogger Gemma the Puppy. We first met through fellow Anipals on Twitter. Gemma is very fun to talk to, has a kind heart and I love her blog. Liebster, in German, means "beloved" or "favorite". The Liebster Award is given to new, up and coming bloggers with less than 200 followers. Thank you so much Gemma! 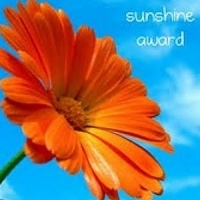 The third award is the Sunshine Award, presented to me by a pet blogger that always brings sunshine to us with her posts, the one and only Basset Momma. Thank you so much again, Janet!! With this award, I have to answer the following questions about myself and give it to 10 bloggers. First the questions answered, then the awards. Favorite Number: Do dogs have favorite numbers? How about 2008, the year Mommy found me. Facebook or Twitter: BOTH! I have made wonderful friends on both. My Passion: Sharing Joy and Smiles to everyone I meet and helping save puppies from tail docking with my No Tail Left Behind campaign. Favorite Pattern: I don't like wearing clothes much, BOL! Since Mommy loves snowflakes, I will say that. Now, to present the award! I am limited to only 10, so here are some great blogs you might or might not know. Please make sure to visit them all. Many of them giving back to their community. Please go visit each of these blogs and introduce yourself. Leave a comment and help make their day. They'd love to hear from you. And don't forget to say "Pixel sent me!" We treasure your Mom's & your friendship too Emma! It is obvious you work hard to make it a fun, beautiful and informative blog. You have taught me much my friend. Thank you so much for the award! That is so nice of you! I'll probably do a post about it in a few days! You always make me smile with your posts. It is well deserved and you are most welcome. You are so very welcome my friends! I love the way you share your city life experiences with the sweet little ones (and big one) you share your life with. It is always a treat to read! Thank you so much! 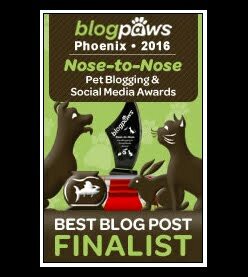 Not only did I just pass this award on to other bloggers I just passed another award on to you!! Congratulations Pixel! You totally deserve these awards; your blog is so awesome. 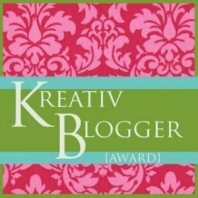 Thank you so much for giving us the “Kreativ Blogger” award, we are so honored, and feel so special that you think our web/blog is worthy of such an award. Thank you again, Hugs and Kisses. It's me, Sophie...thanking you for the Sunshine Award...there are so many generous and gracious bloggers out there in doggy bloggy land and I hope that my little world brings a smile to someone's face especially when some one really needs to feel good. I've spent a lot of time on the beaches and in the parks nearby meeting many doggies with their owners. It's definitely a learning experience for us all and as long as a smile or a happy see you later is uttered then I know I've done my deed for the day. Cheers Sophie and Sophie's Dads~~~Ron and Jim! cool! thanks for passing along the sunshine award, it makes us very happy. i did not know about your no tail left behind cause. since i (yuki) have a docked tail, i'm lucky that i don't have problems. even though rocket has a broken tail, it's still natural and he's lucky it was not messed with! I love the list of 10 things about you. Especially Number nine. Momma Jean was laughing because nseveral of us dogs will Lay and stare under the stove of refrigerator until Momma Jean gets the fireplace poker out and retrieve the old treats that flew under them.I understand about the nail clipping too. M.J.
Congratulations on your awards, and thank you for mine! We are honored to receive the award and thank you so much. It means a lot to us. Especially now as we are trying to make the transition to Joey after Emmy our blog voice for so long died. Joey will do his best to become a good canine blogger. You are so very welcome my friends. I know that Emmy was very special, but I also know that Joey will do a beautiful job and honor Emmy by being the new voice of your blog. We admire your courage and strength.